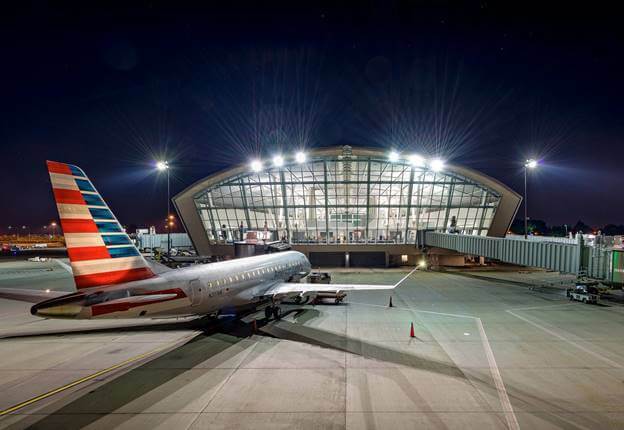 The Terminal building of Fresno Yosemite International Airport covers a total area of 699 hectares. The terminal is elevated for 102 meters above the sea level. The terminal operates through two asphalt runways: 11L/29R that is 2.907 meters long and 11R/29L that is 2.441 meters long. The terminal served 11.368 aircraft operations in 2017 and successfully carried 1.298.000 passengers. The terminal was equipped with the Federal Inspection Services facility in 2006, that allows the airport to check passports and complete the customs work efficiently.